You don't have to spend a fortune on expensive subscriptions or pricey software packages to work on your family history. In fact, from no-cost genealogy records to free software and templates, the Internet is a great place to find dozens of free family tree resources. 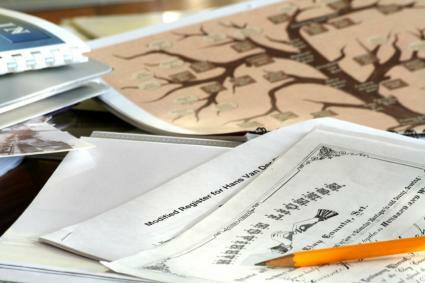 There are also lots of amazing offline resources for learning about your ancestry. 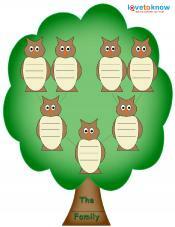 There are a number of websites that specialize in offering free genealogy data. You can access everything from census records to ship passenger lists on these free genealogy websites without paying a dime. Birth records - Search free birth records databases to find out when your ancestors were born. In many cases, you'll also learn the identities of their parents. 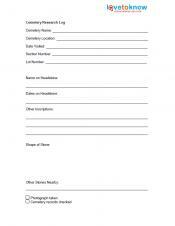 Marriage records - You can find many marriage records if you know where to look. In addition to the date and place of the marriage, you can often learn about the parents of the bride and groom. Death records - Free death records can tell you some surprising information, including the cause of death, the spouse and parents of the deceased, and where the individual is buried. Military records - Whether or not your ancestors served in a war, you can find free military records for most individuals who belonged to the armed services. These records sometimes even include personal descriptive information like height and eye color. Court records - Wills, divorce decrees, legal documents, and other notable records are all helpful in completing the details of your family tree. If you know what city or town to look in, you can often find court records. Census records - The national census occurs every 10 years and includes lots of great information about individuals and families. You can use free census records to learn more about where and how your ancestors lived. If you have a general idea of when your ancestors came to America or Canada, you can use free immigration records to find out more about the family and their journey. There are lots of reliable, no-cost records for immigrations to the United States in the 19th and 20th centuries and immigrations to Canada in the 18th, 19th, and 20th centuries. Sometimes, you need to step away from the keyboard and take a road trip or pick up the phone. You can learn a lot about your family using these free resources. In the United States, the National Archives and Records Administration (NARA) is the official repository for a host of primary documents. You'll find everything from pensions records for veterans to thousands of important photos in the National Archives. In Canada, you can also access lots of amazing documents in the national archives. This is a great place to find census and military records you might not easily find online. Other sources for genealogical records include local or national historical societies and the genealogy room of your local library. Here, you'll find everything from old city directories to free newspaper archives. All you have to do is contact the heritage room at the library in your ancestors' hometown and find a convenient time to begin your research. Volunteers will help you access the information you need. Although it can be challenging, cemetery research is totally free. Simply use death records and information from newspaper obituaries to locate the cemetery where your ancestor is buried. Then you can find the tombstone and learn about birth and death dates, other family members, and more. You can organize your research without paying anything using free genealogy software from a number of different manufacturers. 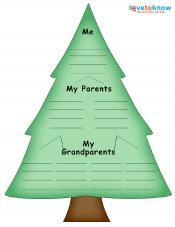 You can also use free family tree template software to transform your data into a tree or form you can print. There's no reason to pay money to create your family tree. Whether you're just beginning your research or are organizing your findings into a tree you can print, there are lots of wonderful free resources out there for you to use.